DURANGO, CO— In November, Ska Brewing’s True Blonde, the brewery’s most decorated beer, was named a finalist for the 2019 Good Food Awards. 2019 marks the ninth year for the Good Food Awards. This platform recognizes to tasty, authentic and responsible food producers in 15 categories: spirits, beer, cider, charcuterie, cheese, chocolate, coffee, confections, preserved fish, honey, oils pantry, pickles, preserves, snacks and elixirs. This year’s competition saw 2035 entries. Ska True Blonde Ale is one of 21 of finalists in the Good Food Awards beer category, and the only brewery in the finalist list from Colorado. For more information about Ska Brewing’s True Blonde Ale, contact Emily Hutto at coop@radcraftbeer.com. For more information about the Good Food Awards, contact Katherine Harris at katherine@goodfoodfdn.org. 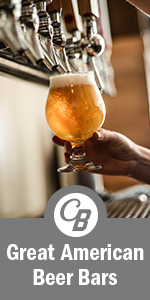 The post Ska Brewing True Blonde Named 2019 Good Food Awards Finalist appeared first on CraftBeer.com.